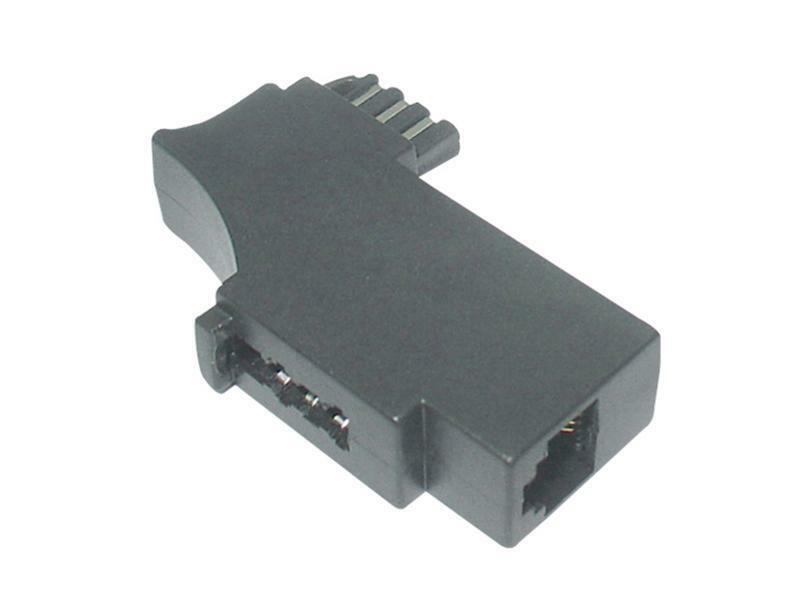 A telephone splitter adapter, switching German style plugs to the US (RJ11/RJ12) jack. 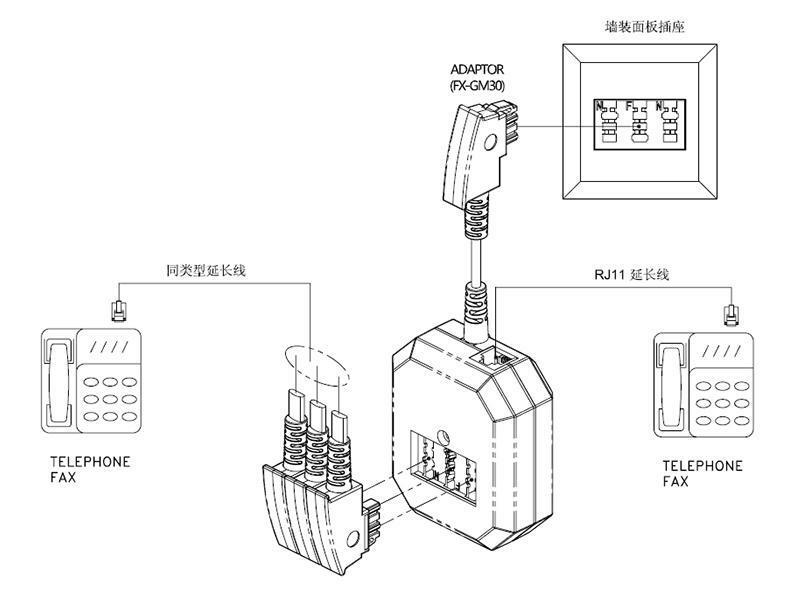 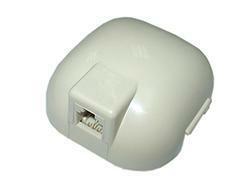 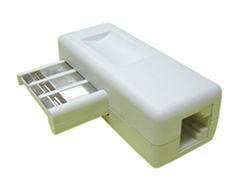 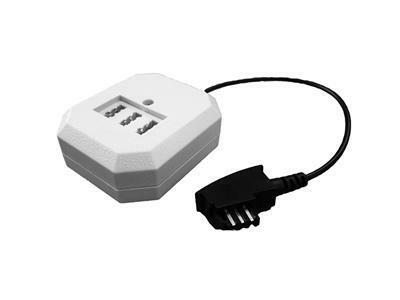 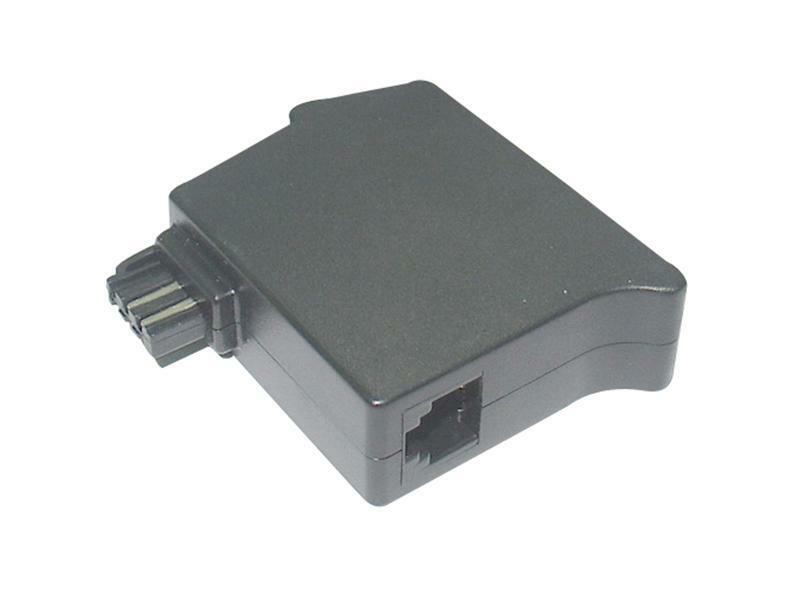 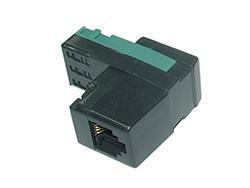 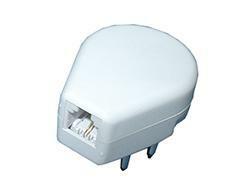 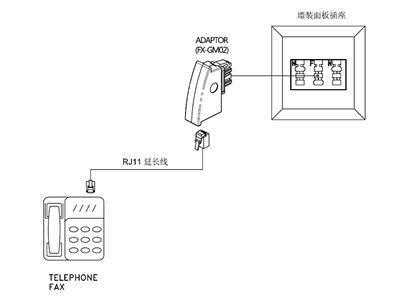 It adapts to the connection of communication equipment, such as telephone, fax machines and etc. 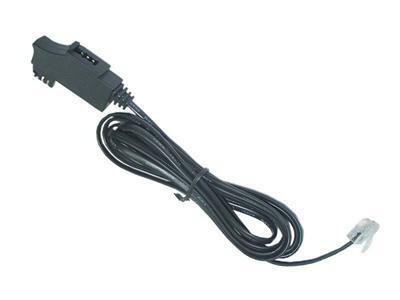 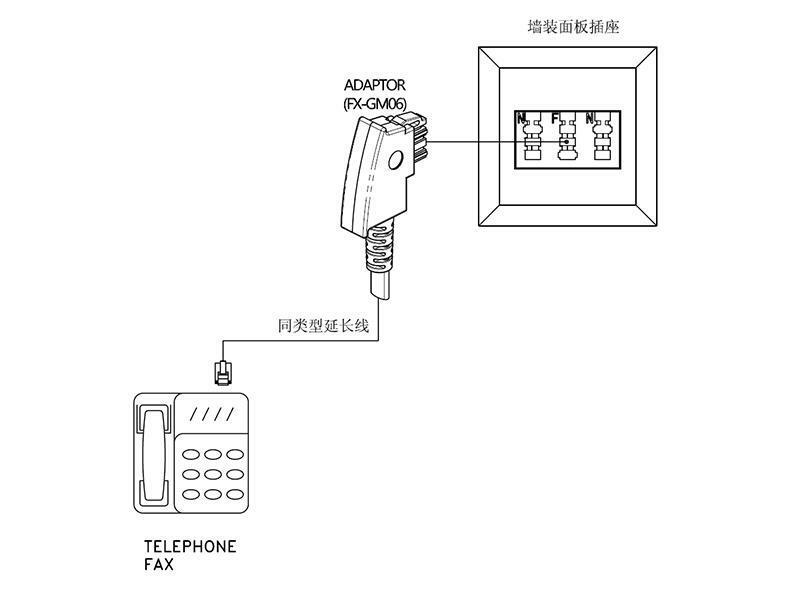 A telephone adapter, switching the Germany plug to the US (RJ11/RJ12) jack, adapts to the connection of communication devices, such as telephones, fax machines and etc. 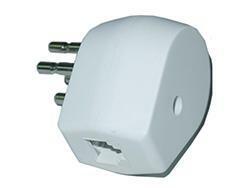 Meanwhile the female jack of the adapter can connect to another Germany phone plug. 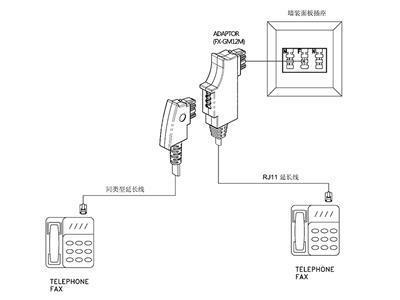 * Corresponding same-type extension cord can be plugged in the native female socket of the adapter and another end can connect another telephone or fax machine. 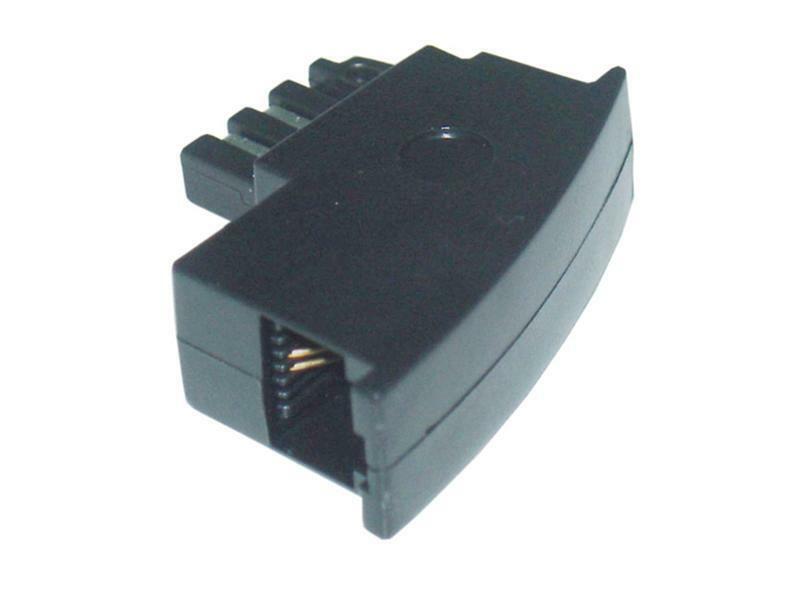 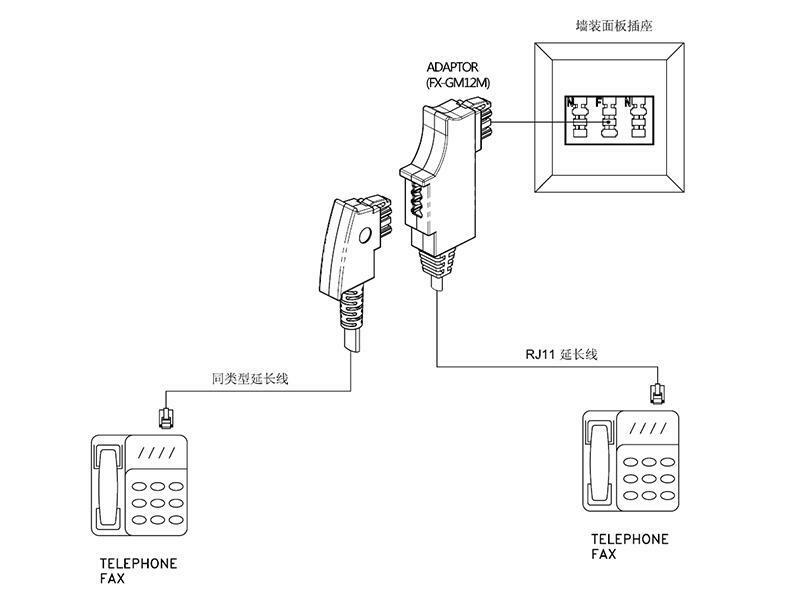 A telephone adapter, switching the Germany plug to the US (RJ11/RJ12) jack, adapts to the connection of telecoms equipment, such as telephones, fax machines and etc. 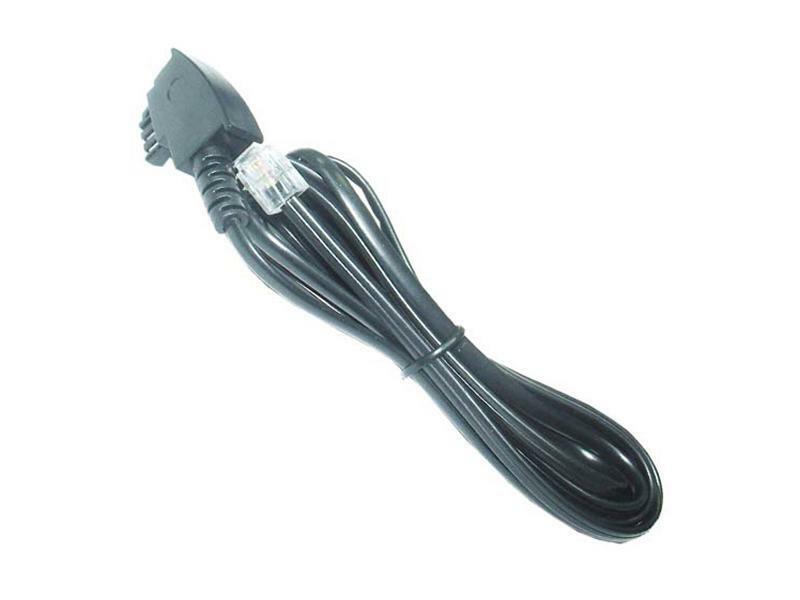 at the same time the female jack of the adapter can connect to another Germany phone plug. 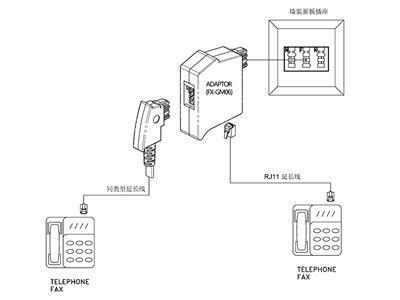 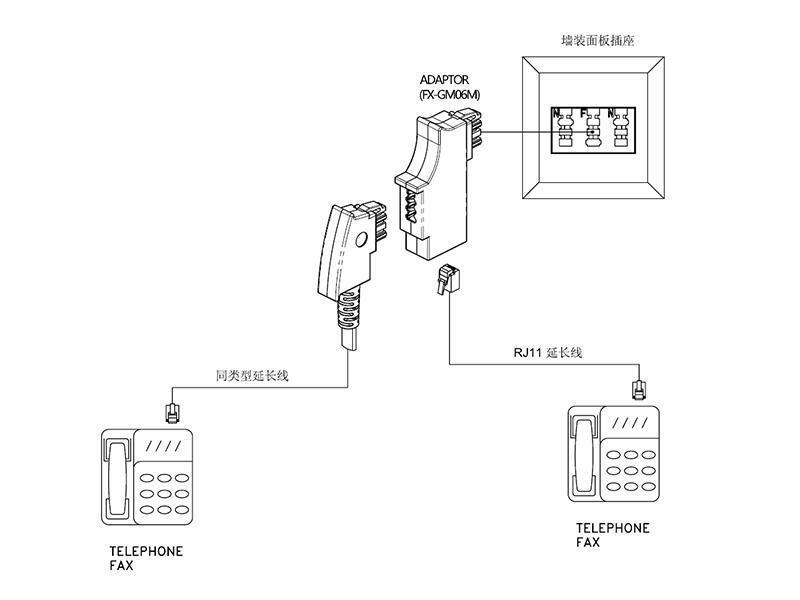 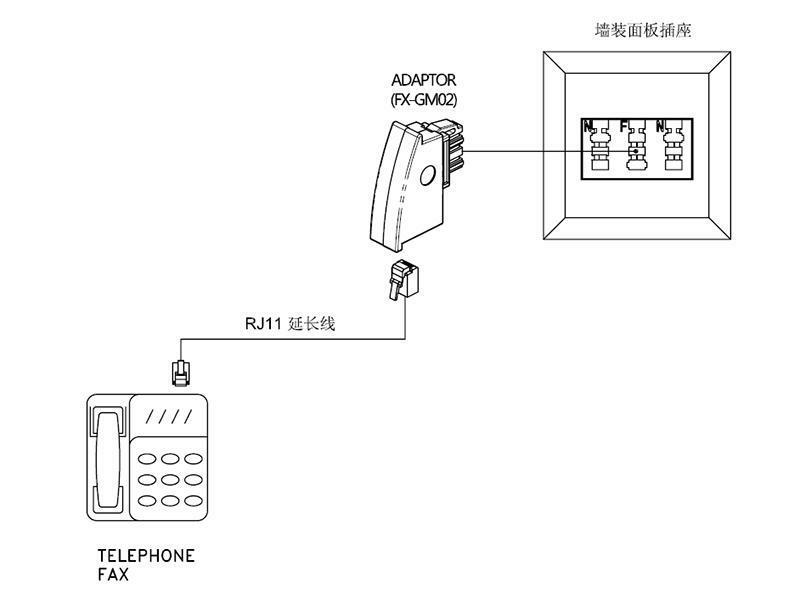 * Two telephones or fax machines can be used simultaneously to adapt to different sockets. 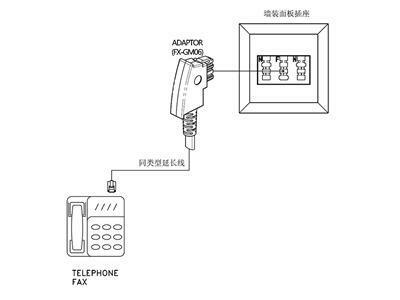 A telephone socket adapter, switching the Germany plug to the US (RJ11/RJ12) jack, adapts to the connection of telephones, fax machines and other telecoms equipment. 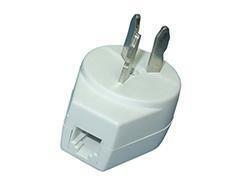 At the same time the female jack of the adapter can connect to another Germany phone plug. 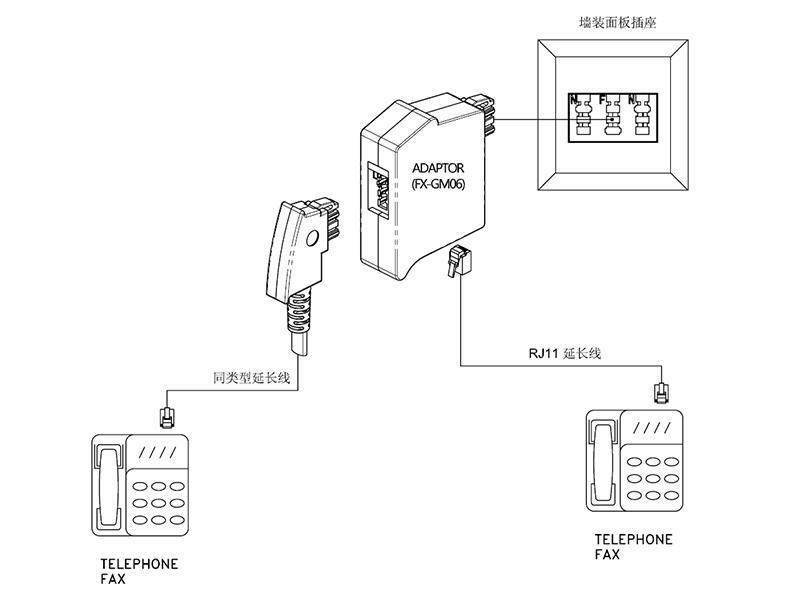 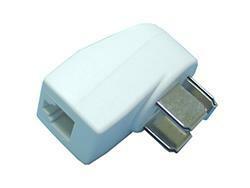 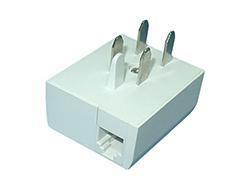 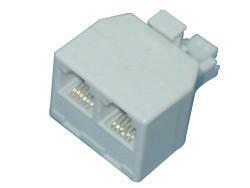 A telephone socket adapter, switching the Germany telephone plug to the US (RJ11/RJ12) plug, which can directly connect to telephones, fax machines and other telecoms devices. 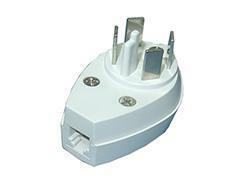 Meanwhile the female socket of the adapter can connect to another Germany phone plug. 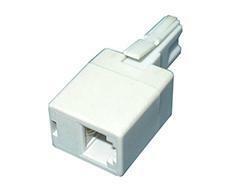 A telephone socket adapter, switching the Germany telephone plug to the US (RJ11/RJ12) plug, which can directly connect to telephones, fax machines and other telecoms devices. Meanwhile other three kinds of Germany telephone plugs can be connected to the female socket of the adapte. 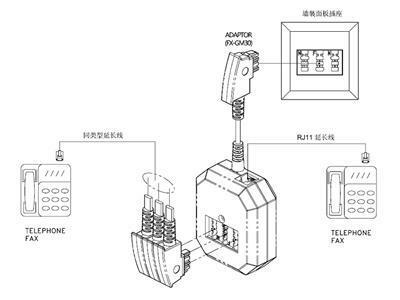 * In replacement of the 3 original receptacles, three female jacks of the adapter will be utilized to connect other components.